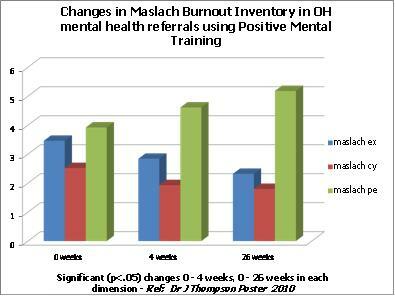 Why use Positive Mental Training in the Workplace? 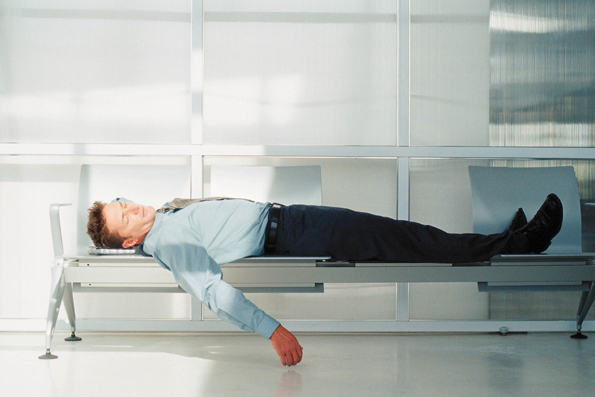 In the UK it is estimated that 3 out of 5 workers suffer from stress at work. Mental Health Problems are the most common cause for absence from work, estimating to cost billion a year in the UK alone. These costs occur through sick leave, other employees having to cover, employees not performing to their full potential, burnout, lost sales etc. knowing when its ‘bad enough’ to see someone. Most people don’t know that there are simple things to do that help good mental health & build resilience. You don’t have to wait until you feel ‘bad enough’ . Positive Mental Training programme -An audio, skills developing, resilience programme, that is used by an individual when it suits them. It originated from sports performance training for Olympic athletes, and so is non-stigmatising. It has a safe tract record, used in the NHS for 11 years to treat stress, anxiety and depression, by patients and also by staff to help them cope with the challenges of work. Uniquely effective for both developing peak performance & recovery from anxiety & depression – why? ….because mental health spans the range from low mood to top mood – and we are all on this continuum. We all need the same skills for wellbeing – to build resilience. The good news is these skills can be simply learnt through listening to the Positive Mental Training programme. Easily accessible via the Feeling Good App or mp3 website downloads. How the programme fits into your wellbeing strategy ? 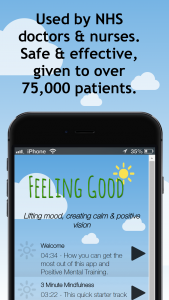 1 We’ll help you let you staff know about the Feeling Good App resources for mental wellbeing & resilience via intranet, posters, leaflets & workshops. 2. 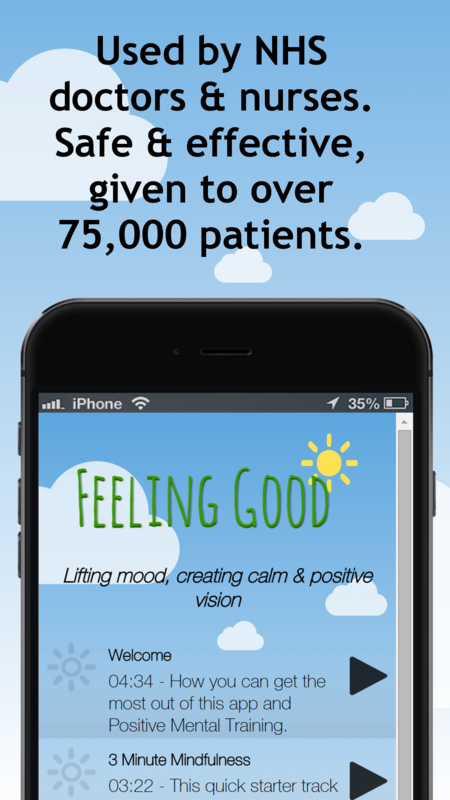 For added benefit to your staff, we can devise bespoke codes which will allow your workforce free access to all the resources on the Feeling Good app and website. We can make for you a short intro video. 3. Identify key personnel who have an interest in mental health & wellbeing to undertake our training so that they can become an advisor on the programme and signpost employees to it (for those who haven’t already self referred into it). The programme is essentially self managed and does not require any formal face to face contact – this is a key strength. 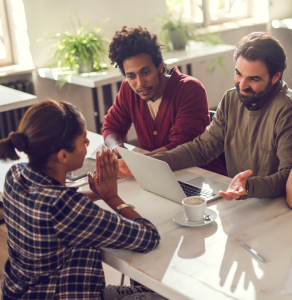 However if you have a structure within your company for managing recovery eg OH dept – internal or external, it would be advantageous if they learn about the programme to increase their effectiveness to signpost and support the use of it. 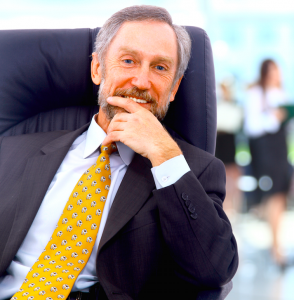 The website has the ability to allow integrated care with a therapist. Proven therapeutic record, used in the NHS for 11 years. Positive Mental Training has been used in NHS for 11 years, as an effective psychological treatment of depression, anxiety, insomnia, stress and various medically unexplained symptoms (MUS). We have observed over the years that increasingly staff are using this programme for their own benefit. Surveys have shown that they report better coping, increased job satisfaction, and better sleep. An independent study in the workplace showed reduction in burnout, as well as depression and anxiety, sustained over a 6 month period. Research detailed here. Training is customised to your requirements. It can be face to face or with e-learning modules. Training is fun, interactive & educational. Consistently highly evaluated. We will tailor our resources to your requirements. Contact us for costs. Feeling Good App / audio downloads – ensures everyone can have access in their preferred format. We can work with you to customise intranet and provide poster templates etc. The most popular format is our Feeling Good app – with or without a bespoke voucher code. The app also has mood questionnaires, listening reminders and a progress tracker in the form of a flowering tree. The advantages of a code, is not only free access to resources for all your employees, but also we can track uptake (anonymously) so giving you valuable feedback on usage. Contact us for costs of setting up bespoke codes for your workplace. We encourage the company to evaluate the use of the programme. We have previously done this through online surveys and subsequent reports. We would be happy to discuss evaluation techniques to be provided at a fixed period after the implementation of the programme. Additionally we can track use with the bespoke App codes. We appreciate that each organisation is unique, and are happy to discuss any ideas you may have for the implementation of Positive Mental Training within your organisation. Why Use Positive Mental Training?